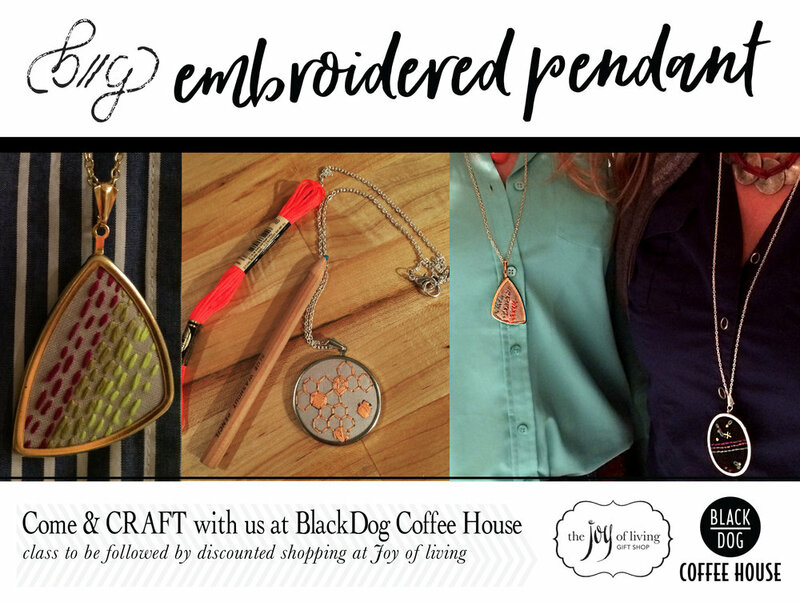 Joy of Living has invited Better to Gather to bring their embroidery supplies to Black Dog Coffee House Sunday, April 22nd. Make a custom embroidery sample that you will then turn into wearable art. These fashionable embroidery pendants are a fun way to add a conversational and on trend piece to your wardrobe. Choose colors that will work well with your personal style and customize your own creation with the help of an instructor from Better to Gather.